Now Offering Chiropractic Care and Massage Therapy! *First time clients only. Medicare & Medicaid excluded. Dr. Ryan Biddinger graduated from Palmer College of Chiropractic West in 2014. Originally from Cass City, Michigan, Dr. Ryan received his Bachelor’s degree from the University of Michigan – majoring in Movement Science in the School of Kinesiology. During his time at school in Ann Arbor, Dr. Ryan discovered that his passion and purpose was to help people achieve a higher level of health and well-being naturally. Dr. Ryan believes that our bodies are designed to be healthy, and that chiropractic facilitates the healing process to allow us to enjoy life with true health! His vision was to create a chiropractic wellness center in beautiful northern Michigan, and has since found a home in Traverse City. Dr. Ryan enjoys staying active outside of the office – hiking, skiing, playing basketball, golf, and table tennis. 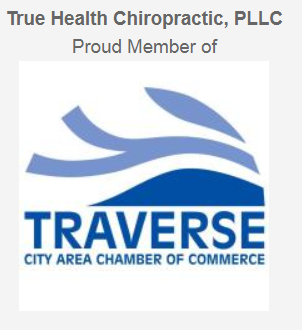 He is an active member of the Traverse City community and within the chiropractic profession. Dr. Ryan takes care of moms, dads, kids of all ages, and anyone with a spine! Everyone can benefit from chiropractic care, especially those searching for a way to solve their chronic health issues naturally or looking to get back on track with their health under regular chiropractic wellness care. Dr. Ryan specifically specializes in seeing patients with neck and back issues, but also those with more complicated health concerns including migraines, allergies, digestive issues, sciatica and much more. They’re a Membership Style Practice. That means you can get all the care you need for a low, flat monthly fee. You can even add family members and save! Also, unlike other offices that require appointments, established patients simply drop in when it is convenient for them and are seen on a first come, first served basis. On your first visit, you can tell Dr. Ryan about all your health concerns – how they’re affecting your job, your family, your recreation… your whole life. Dr. Ryan will tell you, . No, not at all – Dr. Ryan will tell you up front if he can help you or not. If you take advantage of their $47 New Patient Web Special you can see for yourself – you have nothing to lose and only your health gain. My back and sciatic pain have gone away while my mobility and strength have increased. I love the walk-in hours, he makes it easy to fit an adjustment into my weekly routine. The first time I met him he listened to me and knew what was wrong with my body. Any time I need to refer a patient for care in the Traverse City area, Dr. Ryan is my go to guy! True HEALTH is your greatest WEALTH! No insurance? No problem! We are not a participating provider with insurance plans, and the good news is that you don’t need it to begin care. In fact, most members find that our fees are lower than contracted insurance rates. Our office offers affordable monthly wellness membership options, as well as per visit rates and discounted visit packages. $47 New Patient Web Special (normally $75). For a limited time, you can become a practice member and take advantage of unlimited care for only $109/month for a single person! Rates for a couple are $159 (a 50% discount), and $209/month for a family (includes all kids under 18). Walk-ins are also welcome, and are just $40 per visit for non-members after the first visit! Discounts for an annual membership, as well as pre-paid visit packages are also available. Yes! Most people will receive an adjustment on their first visit. If Dr. Ryan clearly understands your spinal condition and can safely adjust you, he will gladly do so. Why wait to start the healing process? Our regular clients don’t make appointments. They know their recommendations and simply drop in for an adjustment when it is convenient for them. You’ll appreciate not having to schedule your life around doctors visits. We have morning, afternoon, and evening walk-in hours throughout the week for your convenience… and feel free to bring the kids! When you become a practice member, you will be seen on a first come, first served basis. You can drop in whenever is convenient for you since we do not schedule appointments after the first visit. At our busiest, you will never wait more than 10 minutes to see the doctor. We’re always aware and respectful of your valuable time. Dr. Ryan has been extensively trained in a variety of chiropractic techniques, including Diversified, Gonstead, Thompson Drop, and Activator. He utilizes both manual adjustments using his hands, as well as instrument adjustments if preferred or indicated based on the examination. Do they offer massage therapy? Yes we do! Call the office to schedule an appointment with our massage therapist at 231-946-1822, or visit https://truehealthtc.com. It’s true, some clients go regularly for wellness care, but you don’t have to. The choice is up to you. You can receive as much or as little care as you feel comfortable with. .
Get the family plan and take care of your whole family! It’s an amazing deal! Gorgeous new office. Ryan greeted me and I felt welcomed.